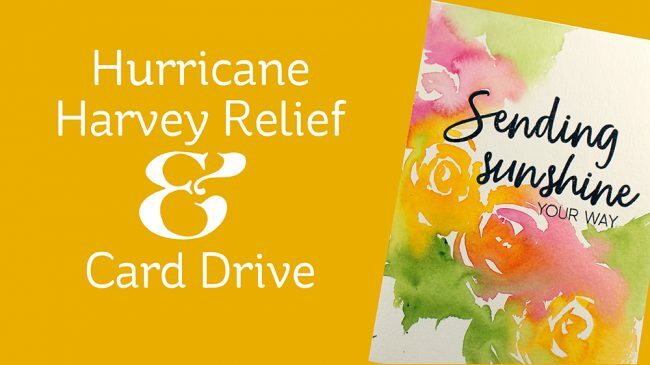 Let’s send donations and cards of encouragement to Texas! 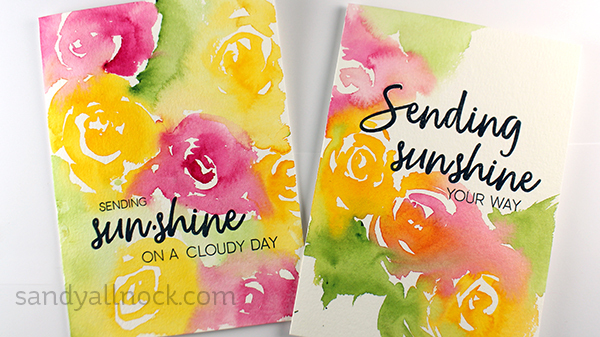 I had a big stack of watercolor cards and postcards staring at me – I stamped up some sentiments from this beautiful new set from Ellen Hutson and Honey Bee – limited release, so pick it up quick! – and just started going to town with flowers! 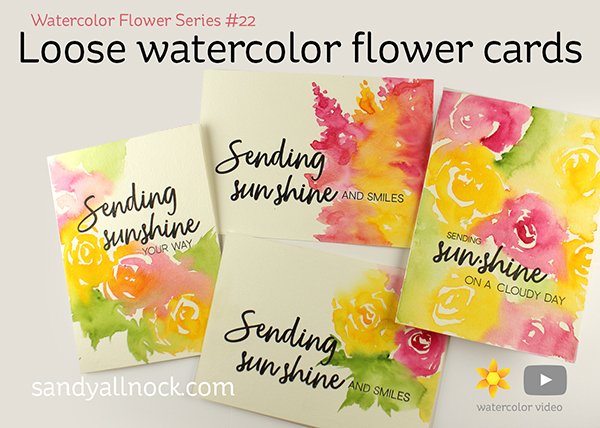 If you’ve taken the Fresh Florals Class, it’s some encouragement to you to get loose and wild with your painting! Note that this stamp set works so well with some other Honey Bee stamp sets that Ellen bundled them up at a discount!!! Watch the video below or click HERE to see it in HD on YouTube. Send some sunshine to the Gulf – and help me fundraise! I had this video made before the hurricane….but I’m going to send ALL 25 of the cards I made out of these cards and postcards to first responders in the Gulf. Sunshine is exactly what’s needed, right!? I’ve put together some addresses that you can send cards to, as well as organizationss we can all donate to. For every comment on this post by Friday Sept 1st, I’m donating $5 – so be sure to leave a comment telling me how many cards YOU commit to send out in the next 10 days. Yes, 10 days is my deadline, or you know you won’t get around to doing it!! For the addresses and orgs to donate to, click HERE or on the image below! After leaving a comment, that is! 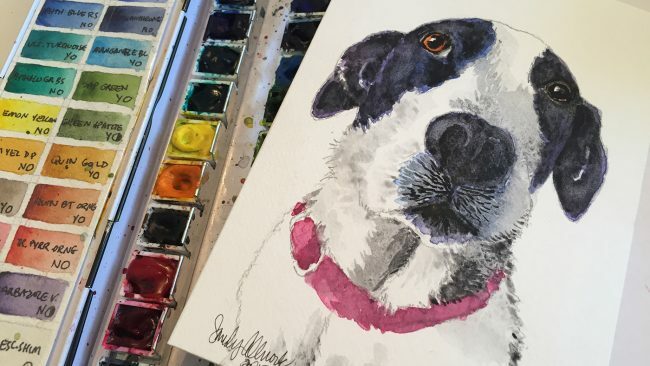 Throughout July (World Watercolor Month), I did a bunch of Facebook Live videos – so for those who love realtime watercolor – have at it! Click on each photo to be taken to that video on Facebook. Sending Smiles —-> and with sale bundle and ideas – HERE!! Beautiful cards. I hope it’s not too late to comment to help Hurricane Harvey. Thank you for being beautiful charitable woman! You are so awesome and inspiring! I’ll definitely send 10 cards. Wow! Thank you for doing this!! 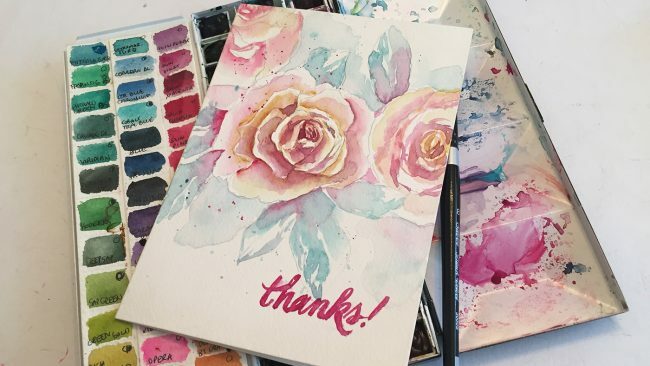 I love your latest rose cards and hope to make some this weekend. What a lovely idea. I wish I could see the looks on the recipient’s faces when they open the envelope to reveal your works of art. I just reread what you wrote. I’m going to attempt to send out 10 cards in the next 10 days. I’m printing up your address list and sending it to a friend who makes cards but isn’t on the internet. I know she’ll send some. Beautiful cards. Thank you for doing the research for us and listing all the addresses. I’ll definitely be sending some cheery thoughts south. I have family in Houston and pray for everyone down there. Great job!I wish I had your talent. Another beautiful watercoloring by a beautiful soul. Thanks for helping inspire people aristically and helping those in need in Texas! These are absolutely beautiful and love the technique, thanks for sharing! I wish I had your talent with watercoloring and copic coloring! Gorgeous! Your cards are lovely and so is your heart!! What a wonderful thing to do! Gorgeous cards! 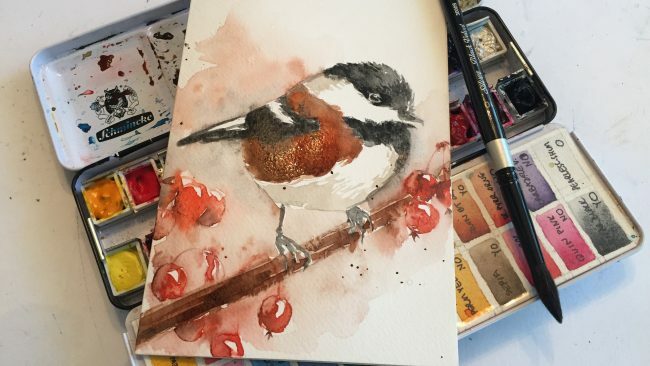 Love the watercolors! Lovely cards. Thanks for sharing and for the inspiring way yo use your blog! Awesome cards! Thanks for sharing the video and link for sending cards–I will send at least 10! Your inspiration is appreciated. Beautiful cards as always & blessings upon you for your generosity towards South TX. I adore these beauties! You make it look effortless! Thanks for the addresses where to send cards! You’re the best! Lovely cards. Lovely thing you are doing with the donations too. I am so wanting to try this technique! So beautiful. You are so beyond awesome and these are gorgeous! You make those lovely roses look so easy, but I am not able to do it just with a video, probably I need some 1st steps for this kind of thing. Having said that, I have donated to the Houston SPCA already but what a great idea to send cards! I’ll see how many I can get done. Wow … pretty flowers … great cards! Thanks for the show-n-tell inspiration. 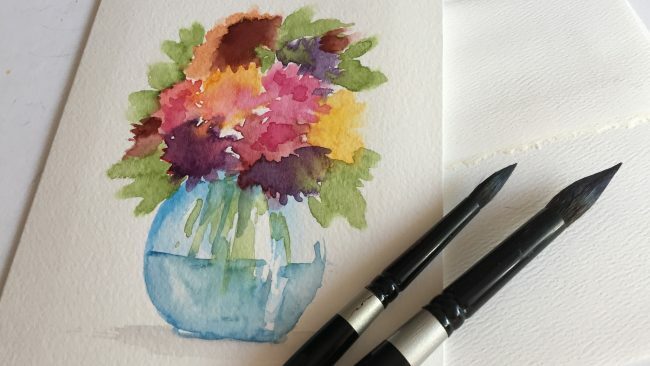 With some practice I bet I could do some watery flowers, too! Appreciate you. Your cards are beautiful as always. What a wonderful, inspirational way we can help. Great idea. Thanks for all the addresses. I will pledge to send 10 cards. Thanks for the list of addresses, Sandy. That certainly made it easier. I’ll be sending whatever cards I can create in the next 4 days, I’m sure that will be at least 10. It will bring back a lot of memories to get out some of the Patriotic Hero cards from OWH days! The money is already on it’s way, cards to follow soon! Should have said Patriotic Hero stamps NOT cards! they’re beautiful. These bright, happy colors will brighten anyone’s day. Those cards are beautiful. I will be at work all night working on cards. 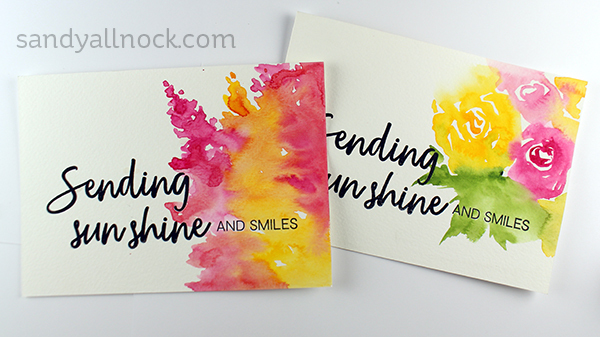 Beautiful cards filled with sunshine. I will hopefully get 2 cards made this weekend. I might even try doing your roses. We have family in Refugio and I am so thankful for all the help they have received! Thank you for doing this. We will send five postcards to various first responder stations….lots of departments in other areas, like Dallas and Ft Worth are there, too. I will send some to the National Guard Soldiers, too! The entire state of TX guard has been activated to assist! Again I am inspired by you on the human front and the artistic front. You go girl!